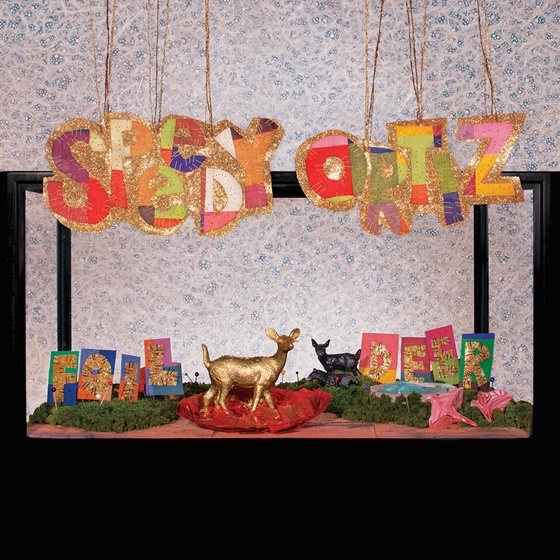 Northampton, MA indie rock crew Speedy Ortiz impressed with last year's Real Hair EP, and they've now revealed plans for follow-up full-length Foil Deer. The 12-song set is due out on April 21 via Carpark. According to a press release, the new material was generated out of a more positive mindspace for frontwoman Sarah Dupuis. "I gave up wasting mental energy on people who didn't have my back," she said [via Pitchfork]. "Listening to our old records, I get the sense that I was putting myself in horrible situations just to write sad songs. The music isn't coming from a dark place, and without slipping into self-empowerment jargon, it feels stronger." In conjunction with the album announcement, the band have shared a Foil Deer comic strip, which you can see below. The album artwork is pictured above, and you can check out the full tracklisting below as well.